LEXINGTON, Ky. – Second quarter 2018 represented the first period of time C.D. 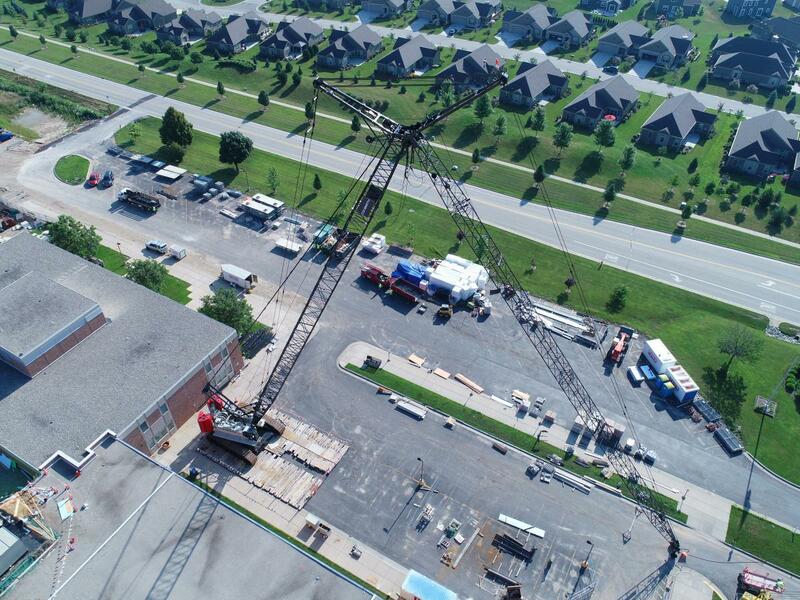 Smith Construction had the full collection of Link-Belt lattice crawler cranes at their disposal for construction projects covering Central and Southern Wisconsin. Family owned and operated since 1936, Fond du Lac, Wisconsin-based C.D. Smith is no stranger to the crane industry. The firm leads construction projects across the state and beyond. C.D. 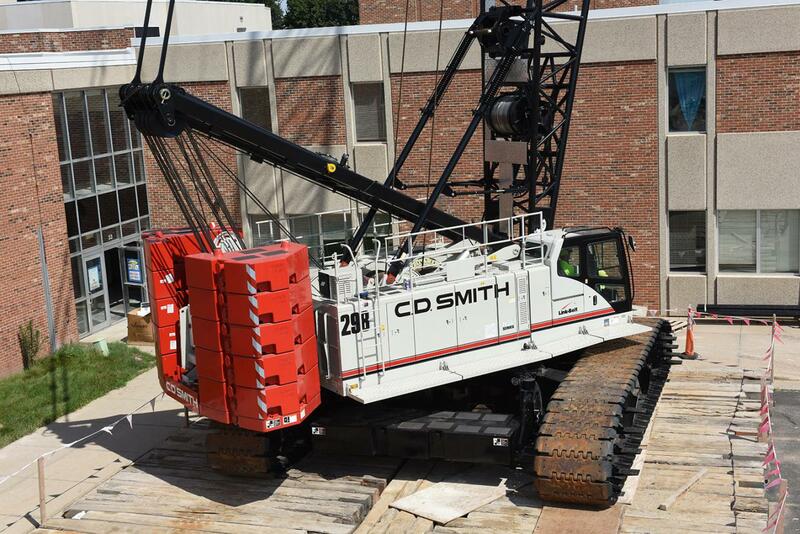 Smith has seen a period of growth in the last 18 months following a package order that includes several Link-Belt 110-ton (100-mt) 218 HSL lattice crawler cranes, a 250-ton (227-mt) 298 Series 2 with full luffing attachment, and 80-ton (80-mt) RTC-8080 Series II. C.D. 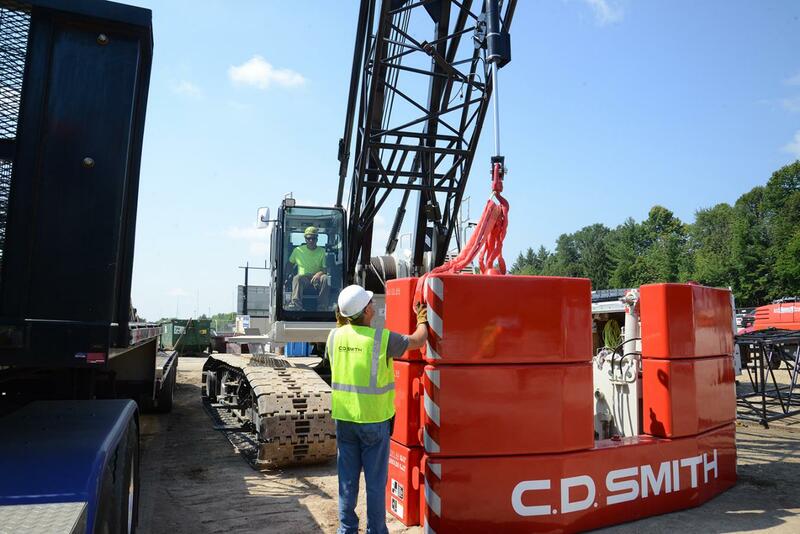 Smith finalized purchase through Link-Belt distributor, Dawes Rigging and Crane Rental of Kaukauna, Wis.
“The amount of reach and capacity we gain with the 298 Series 2 made it a perfect addition to our fleet,” said Cory Schultz, equipment and crane manager for C.D. Smith Construction. C.D. 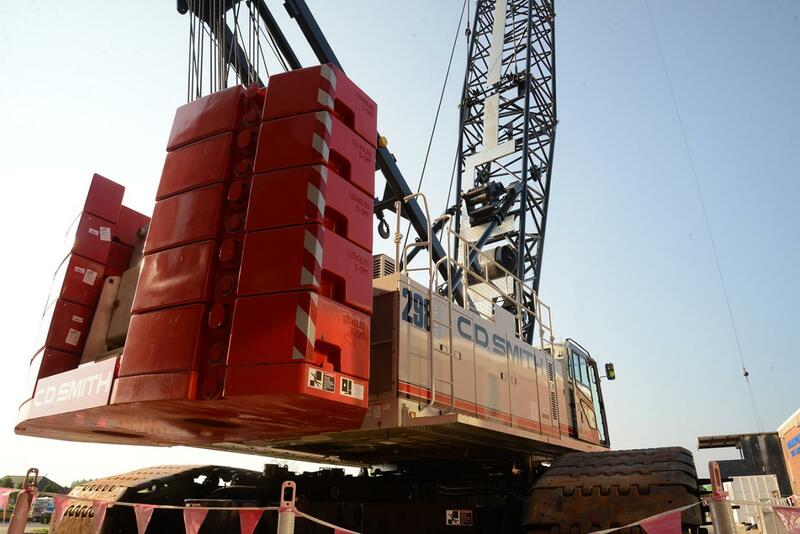 Smith took ownership of their first Link-Belt 250-ton (227-mt) 298 Series 2 lattice crawler crane with 170 ft. (51.8 m) of main boom and 195 ft. (59.4 m) luffing jib in Spring 2018 in part for an $84 million addition at Germantown High School in Germantown, Wis. 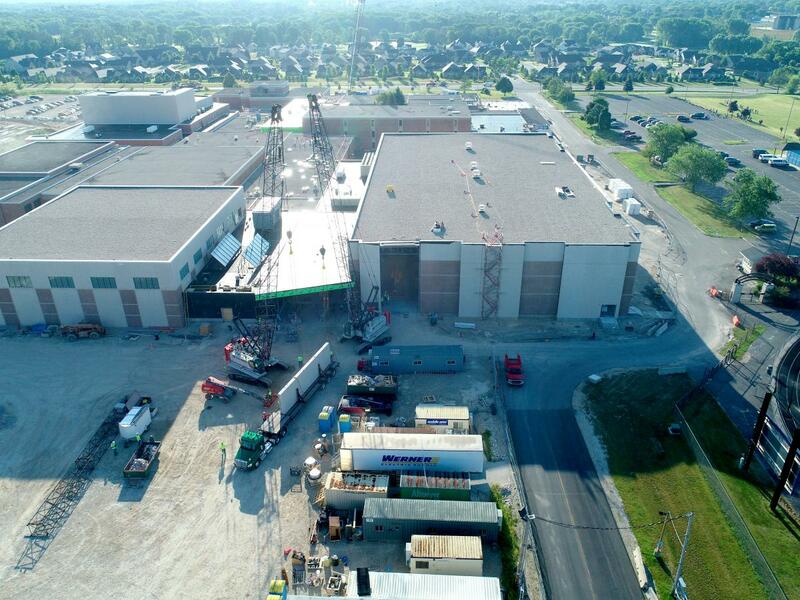 The substantial expansion includes a new gymnasium, natatorium, theater, classrooms and main atrium entryway into the school with estimated completion date of fall 2019. “As much boom as we are moving, this crane is very nimble. With 365 ft. (111.2 m) of attachment, it is really smooth on operation and still gets 6,000 lbs. (2 721 kg) of capacity at a radius of 273 ft. (83.2 m),” said Schultz. In order to keep to a fall 2019 completion date, C.D. Smith runs a daily crew of roughly 50 laborers including everything from demolition to masonry working all over on the 250,000 sq. ft. job site. The workload for the 298 Series 2 can be described as cycle work, making over 140 lifts in a single day on occasion. “Assembly on the 298 is… I’d call it mind-blowingly fast. Really, it all starts with the 218 and has gone up through Link-Belt’s product line to the 298s. No real difference if you have 110-ton all the way up to this 250-ton – assembly is pretty universal on what you’re doing. Majority of the time we’re using the self-assembly feature which was a big selling point to us,” said Schultz. 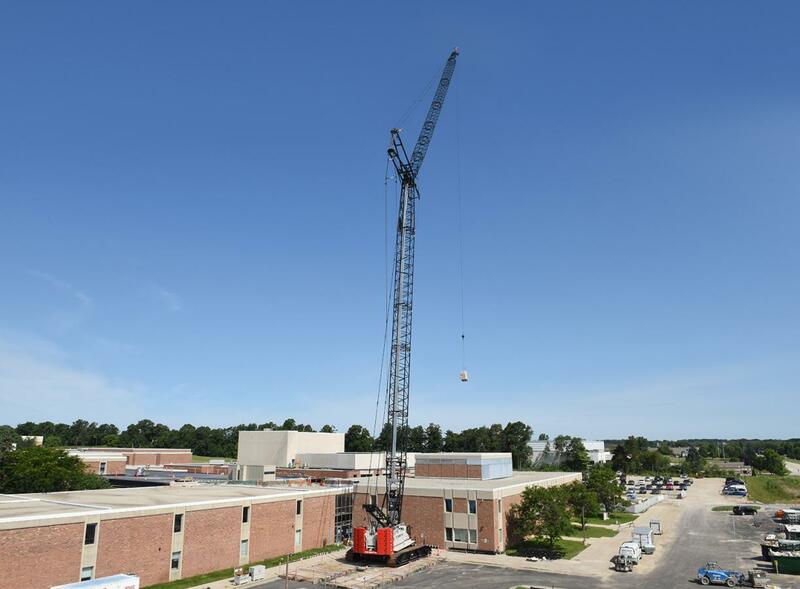 Aside from the project at Germantown High School, the six Link-Belt Cranes have been busy running between ongoing projects in Appleton, Fond du Lac, an additional project in Germantown, Johnson Creek, Kewaskum, and Wauwatosa. Ease of tear down and assembly makes the Link-Belt cranes ideal for quick relocation to these school projects, water treatment plants, and a hotel construction project that will obligate two of the 218s for the remainder of 2018. “The fact that we haven’t sent any of these Link-Belt’s back to the yard since purchase is really telling. The 218s tear down so easily, and we haven’t moved the 250-ton since the day we put the luffer in it,” said Glugla.